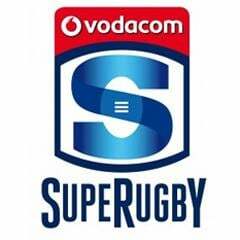 Johannesburg - The Toyota Cheetahs received another injury setback as they look for some redemption on their Vodacom Super Rugby tour of Australasia, with flank Jean Cook heading home as another casualty of the tough two weeks in New Zealand. 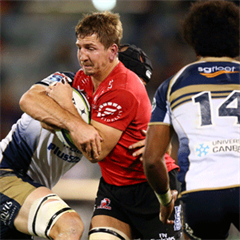 According to the supersport.com website, the Cheetahs face the Brumbies on Saturday in their third tour game – traditionally the toughest week on tour – and will need to choose a new loose trio again if they are to make any headway and return home with some points. Cook has a groin injury and has already left for home, and will see a specialist back in Bloemfontein to ascertain the extent of the injury. But he is the second loose forward in as many weeks to suffer the same injury, after Teboho “Oupa” Mohoje returned home and is out for up to 12 weeks with a similar injury. Mohoje underwent an operation last week to put him back on the road to recovery. The good news however, is that the Cheetahs should have close to a fully-fit squad this weekend with Springboks Coenie Oosthuizen and Willie le Roux returning to action after being rested as per their agreement with SA Rugby. Sarel Pretorius has also joined the team from Bloemfontein after attending the birth of his second child, and will provide some energy and zip to the side against a tough Brumbies side that will be looking for a return to their winning ways after coming off a bye and a big loss to rivals, the Waratahs before that. Johan Sadie has also been cleared to play after missing out on the Chiefs game because of flu, while Danie Mienie has also been cleared of concussion, after it was feared he may be out for a lot longer. The Cheetahs will have to look at their discipline as yellow cards at crucial times in both matches in New Zealand cost them any chance of winning, and at their scrums, once feared in the competition but in the last two weeks have received a hammering at the hands of referees, so much so that it negates the positives from the side. The Cheetahs will be staying in Sydney while they prepare for their match in Canberra, about an hour away by bus.